All we do is often involved with our tenet " Purchaser to start with, Rely on initially, devoting over the food stuff packaging and environmental defense for Led Tile Slots Lamp,Led Project Lamp,Led Night Lamp,Led Mood Lamp enterprise name is your very best choice! 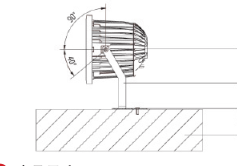 The LED projector lamp is used to specify the luminance above the surrounding environment, and also called the spotlight.Usually, it can be aimed at any direction and has a structure that is not affected by climatic conditions.It is mainly used for large area operation field, building outline, stadium, overpass, monument, park and flower bed.As a result, almost all outdoor use of large areas of lighting can be seen as a projector lamp. 1. Fashionable, modern appearance design, make lamps and lanterns also become a work of art, with the environment perfect union. 2. 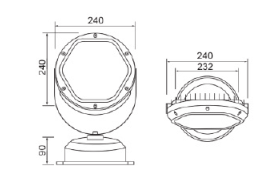 The main material of the luminaire is made of high strength die-casting aluminum material, and the surface anti-aging electrostatic spraying process, Self-cleaning and anti-corrosive. 3. Tempered glass cover with high strength and impact resistance. 4. The lamp can be configured white or monochromatic RGB, gorgeous lighting effects, color purity, powerful change. 6. The unique rotatable fixed bolt can be rotated 360 degrees. 7. 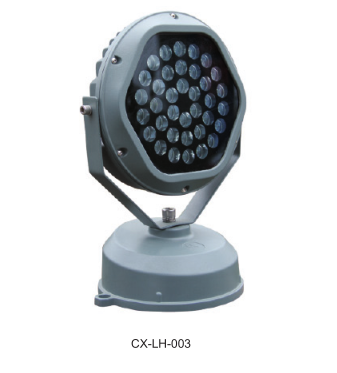 The light source adopts 1W single RGB light source, LED combination optical arrangement, and the mixing effect is better. 8. 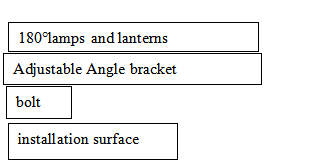 The light can be controlled by DMX512, a powerful function of changes in lighting effects. 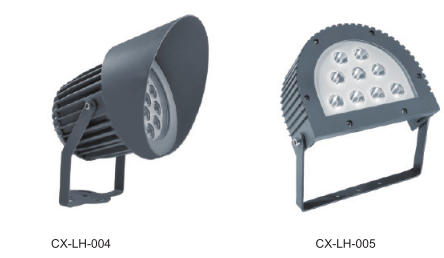 9.Lamp series, power can be between 18W-36W, can be used for a variety of applications.